Every bride and groom want their wedding event to be the most important day of their lives. For most, a wedding is not just a function, rather it is a bonding of two families and lot of people together in a single string of relationship. 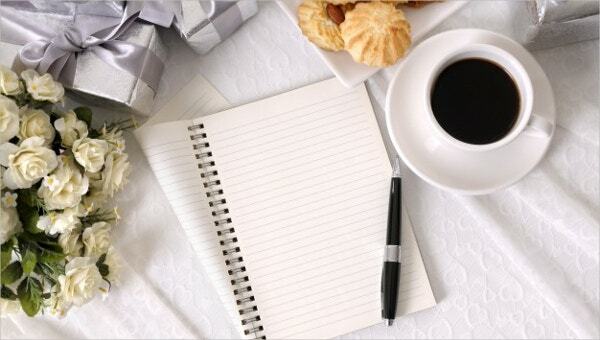 And planning for a wedding can be an incredibly difficult affair. It is not just the wedding that you need to look after- there are so many other things that need to be taken care of. 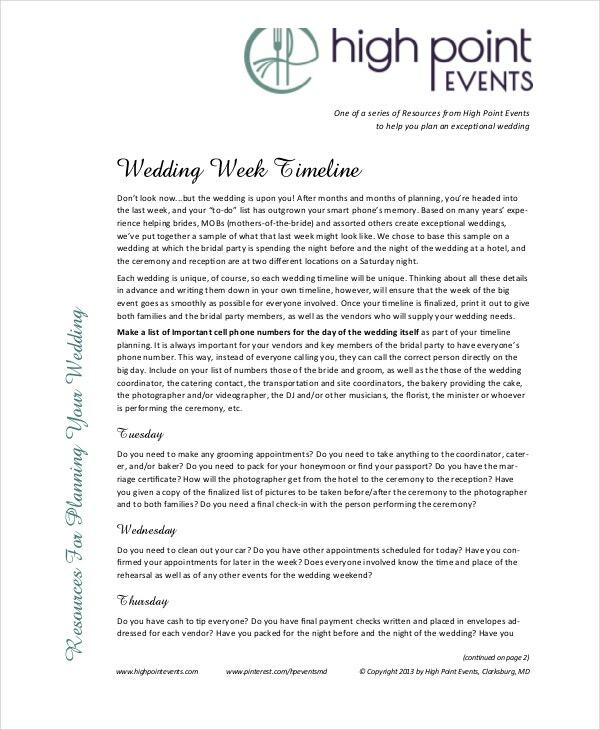 And for this very purpose, we have brought to you a few selected Wedding Timeline Templates. Use these timeline templates, rest easy, and focus on the biggest day of your life. 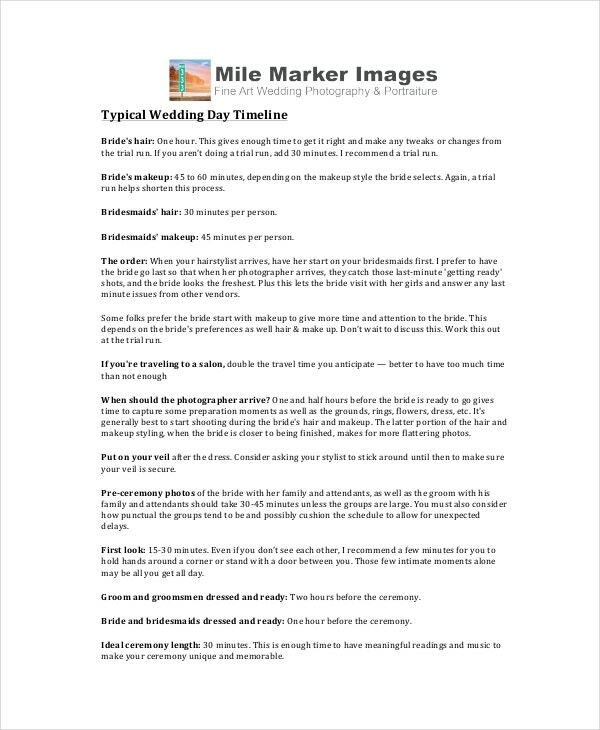 Wedding Day Timeline Template will help you in planning your wedding in the most efficient manner. It has got all the guidelines that you can follow from 4-6 months before your wedding day till the marriage day. By using this wedding timeline template, there won’t be any scope left for missing out on anything. Every bride and groom would, of course, love their nearer and dearer ones to be there to bless them on their special day. And through this template, you can plan well ahead for the purpose of inviting your guests through out your wedding week. It will enable you to make a list of phone numbers of all the important guests so that you don’t end up missing out anyone. Wedding photographers play a pivotal role in the wedding as they need to capture all those momentous occasions through their lenses. 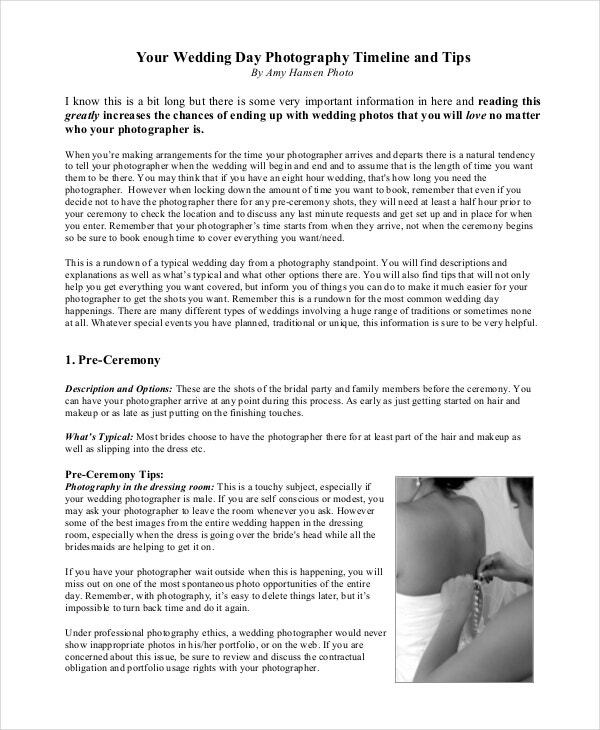 This Wedding Day Photography Timeline Template will help you prepare a timeline that will even assist the photographer in planning things appropriately. Managing the schedule on the big day i.e. 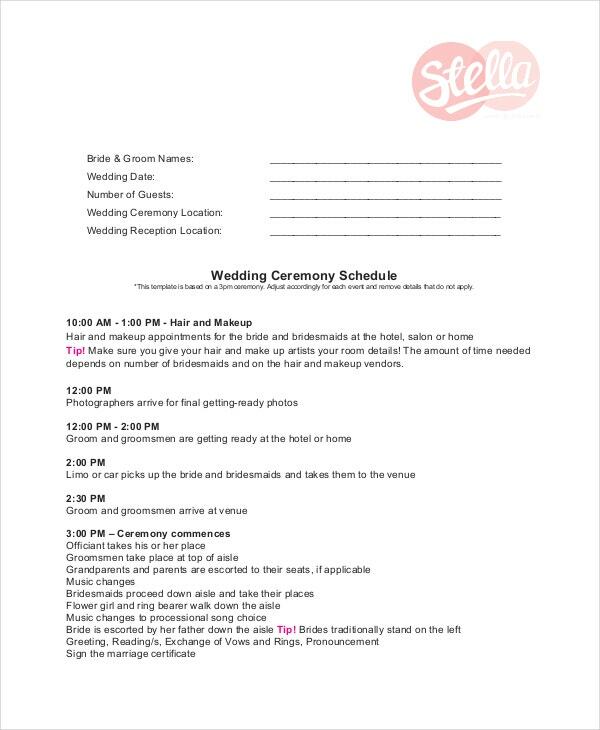 the wedding day is the most difficult task but this Wedding Day Schedule Template will turn that into an easier affair. Through this template, you will be getting a list of activities and events and manage them perfectly. This is the best sample template that you can get hold of to plan a successful and memorable wedding ceremony. It includes a list of tasks along with a timeline. You can download this template and print it to make efficient use of it. 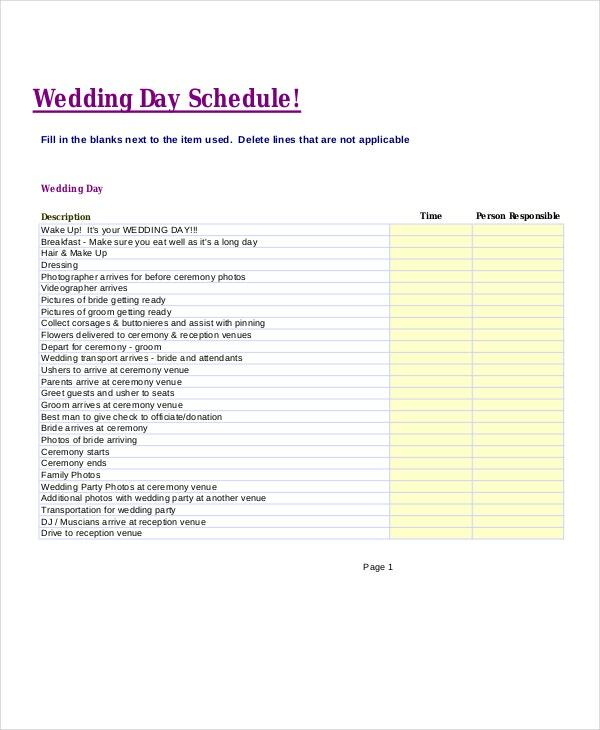 You can also check the Wedding Itinerary Templates. > What Is The Purpose of These Wedding Timeline Templates? A wedding is a one-time event in every bride and groom’s life. So, naturally, they wish to have an unforgettable wedding ceremony. But planning for a wedding ceremony is no mean task. So, this makes it compulsory to have a wedding plan in place. 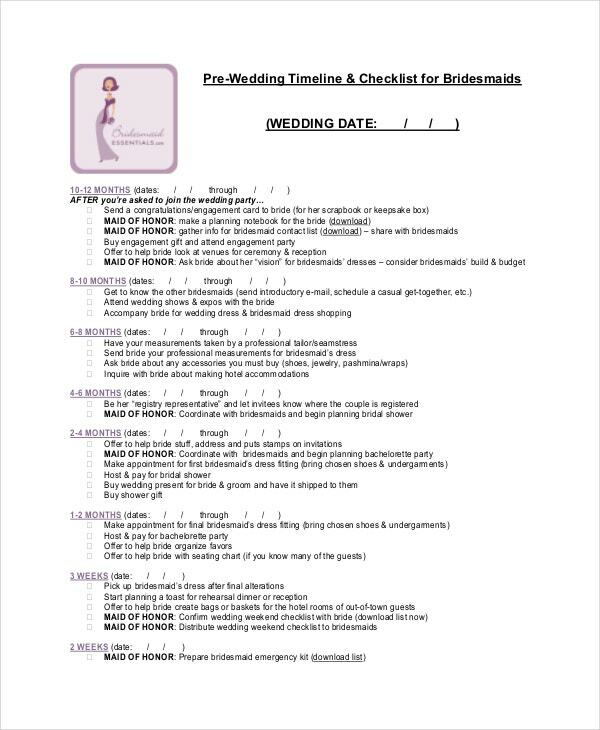 These wedding timeline templates will provide you with a to-do list that you can start using almost 4-6 months before the wedding day. 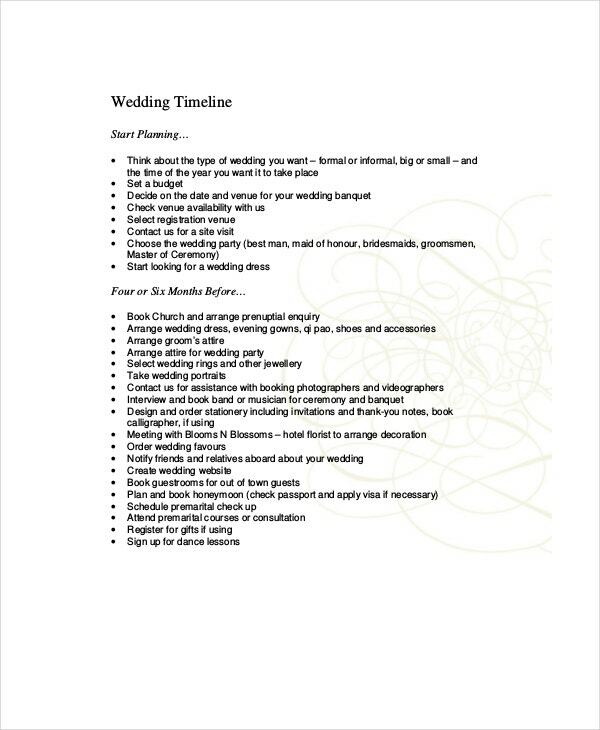 A Wedding timeline template allows making any necessary changes at any moment without disturbing the schedule. These templates are ready-made and cover all crucial aspects of a wedding so that you don’t miss out on anything for your wedding. 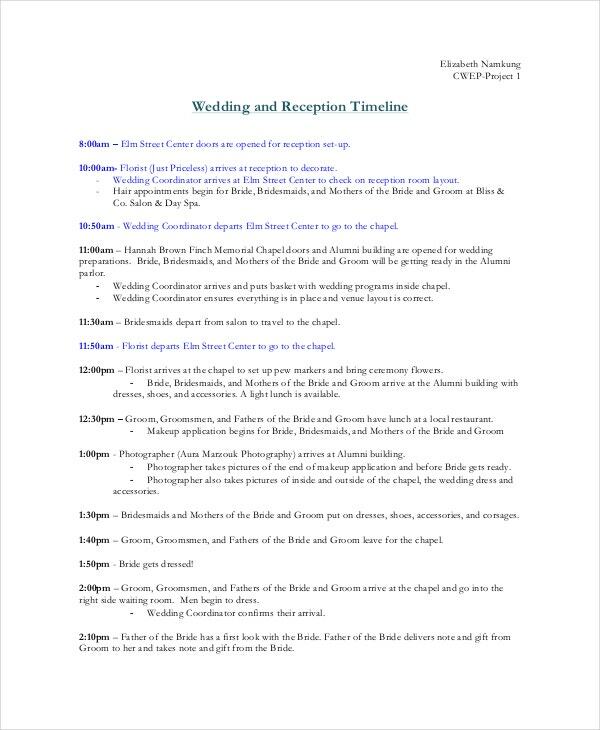 > How To Make Good Use of These Wedding Timeline Templates? 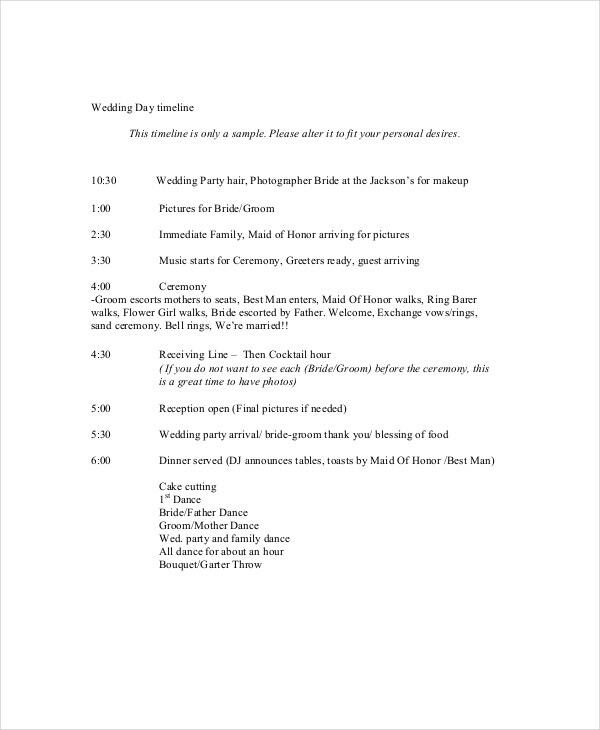 A wedding timeline template contains all the happenings that are going to take place before, during, and after the wedding; they also include ceremonies and parties, and venues along with the timings. These templates also offer a ready-made schedule structure which will save you a lot of time. You don’t have to create one on your own from scratch. Rather, you can make use of these readily available templates. And these templates can be easily downloaded and easily customized too. 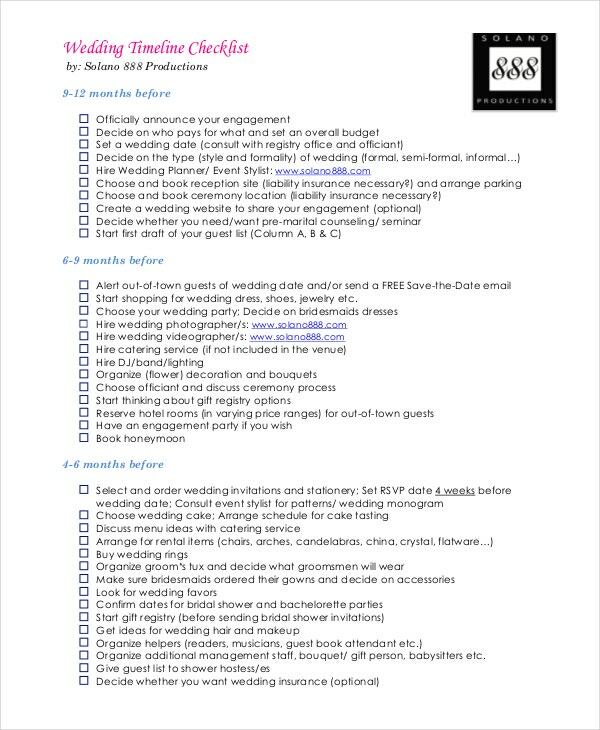 Enter your particular wedding details and print them out. They will prove to be excellent time savers. You can also check PSD Wedding Templates. The wedding day is a monumental occasion for all and we all would love to have the best wedding ever. But it is not always possible without proper planning and execution. 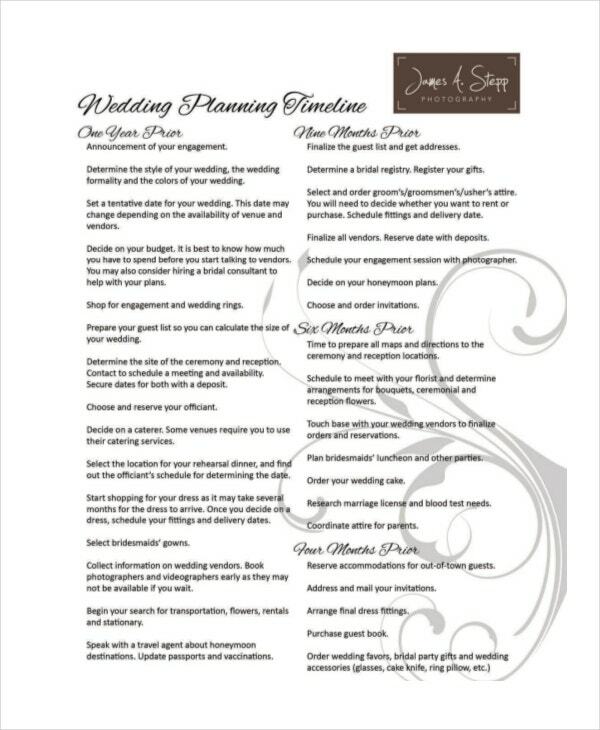 This is where our extensive collection of wedding timeline templates can save you the blues. They will help you throughout the wedding and will ensure you don’t miss out on any significant thing.